It’s hard to escape symbols lately. They are thrust in your face every time the TV news comes on. And as we all know, symbols can get a body worked up. And cause frustration. And misunderstanding. And turn one against another. So I’ve been looking for symbols that are life-giving. Not life sapping. Because I am a little sapped. Which does not mean I am a sap. Just feel that way. Doug and I have lost three people these last couple months – – my best friend from childhood – Lorna… our first friend in Alaska – Tom… and a friend who was kind of mentor to us as a young couple – Dave. I believe they’re in heaven and I will see them again, but still, their leaving makes the world a little bit gray. So I’ve found a few symbols around me that say, be resilient… don’t give up… love and laugh a lot. My dead fuchsia – OK, that didn’t sound too uplifting, but I have a horrible record with fuchsias. However, this one lasted all of summer 2014. By early autumn it looked scraggly so I took it down and set it in the back of a flower bed. It sat there all of last fall. All winter long. All this spring. It was nothing but brown and dry and I purposely ignored it. I weeded around it, hung new baskets over it, always intending to pull out the dry contents and plant something new. But it got tired of waiting. So it just grew itself! And with a little more water and fertilizer and some apologies on my part, we have this a month later. I love this spunky fuchsia! 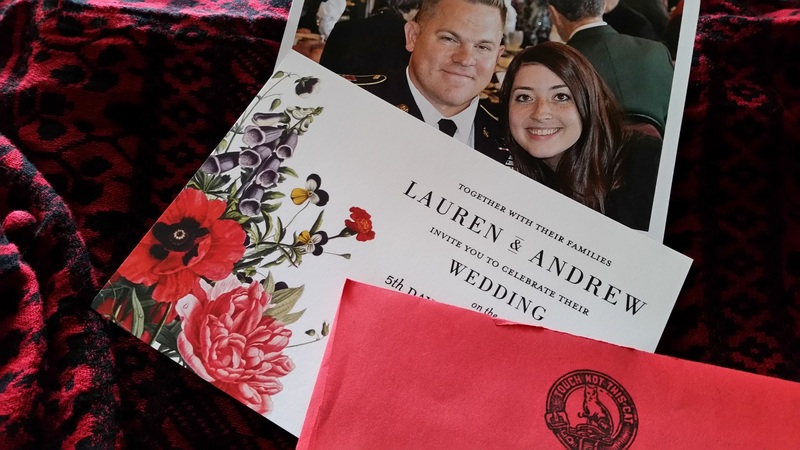 What says great days are coming better than a wedding invitation in the mail – – although we’d be there regardless – – because we’re helping with the food and we are half the parents – – so, like, we HAVE to be there! To sit across the table from this cute couple and talk about reception food and cake and such and such and so forth and so on…. is a very big, happy love thing. Blank notebooks. Ready for new words. All on sale and with pretty covers besides. 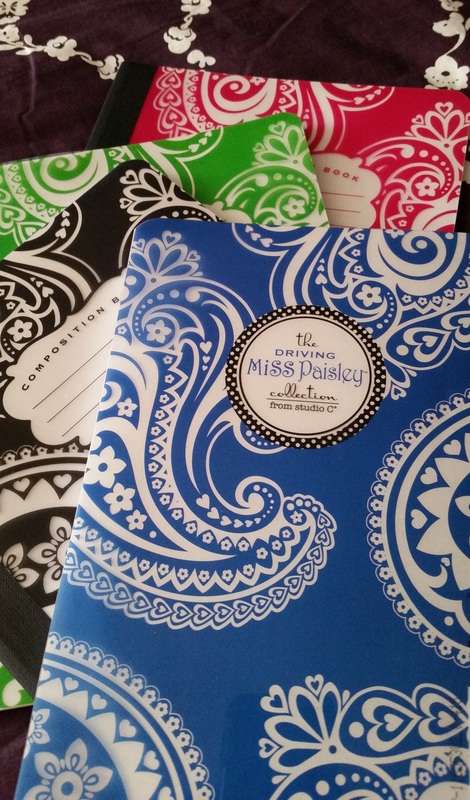 “Driving Miss Paisley” Oh, how I love a good play on words. Doug: “why, is there a possibility I may not come out alive”? OK – so he is not the actual symbol – – it’s his hands, holding a cup of coffee (or the occasional glass of wine). Because that seems to be how we get thru this life… sitting across the table, one cup of coffee at a time. Life’s not always pretty. The conversation isn’t always pleasant. With my tendency to worry and his to make jokes, you’d wonder how we get anything done. But we have. And we do. And it’s the best part of my day to sit across the table from him. My take on rainbows, faith and fear…. Enter your email and receive notification of new posts direct to your in-box.